Warning: Long post of a free and independent mind....no offence intended. Here I am to write today on the eve before the independence day. Although I have nothing particular to write I know I’d start with nothing and would end up with many things. Today sittng in my bedroom and writing this down on the eve of 14th august sent down within me reminicense of the day just before independence. I am trying to imagine the feelings of people on that very day.. exactly what they must have felt, how much difference did they feel ? did they feel entirely a new world just after the clock stuck 12 ? Today it is so easy for me to sit in a free world and share my feelings with completely unknown people all over the world. Looking forward to talk to them to know what they feel how they opinise my posts and share what is in my mind. What exactly must have been the situation 63 years ago just before the dawn of independence came. For those people who struggled for ages, got tortured limitlessly for no fault of theirs…how did their world change after independence? Was it only the idea of having a country free from seeing faces of goras? Did we hate just the “gora chamdi”?? or was it the idea of having a whole definion of having a country by your side? Or was it the idea that our children or their children will live in a free world away from the shackless of torture, away from the fear of being killed for their opinions, away from the fear of unknown penalties heaved on them??? 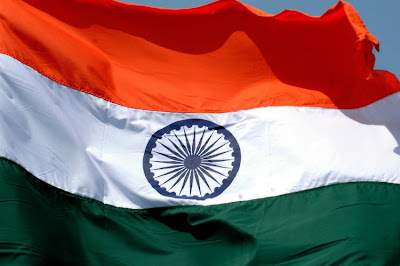 On the eve of independence too I am sure there would have been many who would have thought that its futile to be free , their must have been many who must have thought that “ goron ki hukummat hi behtar thi”, there must have been many who would have thought that India will never make it big. And I am also sure there must have been many brave hearts many of them who would have replied them back with hope in their eyes , dreams and faith on their children i.e YOU AND I. Yes, you and I ..their children on whom they had immense faith and dreams in their hearts filled with pride, filled with the pride that their blood will not be any more divided by religions castes creed or colour , that the ideals of free INDIA will definitely come true. A land where no one none of their children will ever have to suffer pangs of hunger, where their children will care for one another and where they would be slaves to none. I take a gasp when I realise the burden of their dreams, I realise we are still so much slaves, I realise its so amazingly easy to struggle and achive something and so tough to maintain it. They have given us such a tough task so tough work and such a painful job of “believing in INDIA and its ideals and uphold its freedom.” So much tough the work is that there is a FRESH BREED of indians who (constantly) look at the “hukummats” of the goras all over the world and feel India will never make it big. Such a gigantic task it is. But unfortunately unlike the believers of Free India on independence day ..we do not have future generations to place our hopes on all we have is WE US and just OURSELVES and just the PRESENT. When India got its freedom people understood that the nation belongs to “WE”. They had hopes because then it was the start, just the beginning. They could keep hopes from their future generations because they did their part and knew they might not be physically be able to complete the daunting task of maintaining India’s ideals. Unfortunately for them they did not explain us that their hopes shall live only when we all shall be WE. Unfortunately we cannot anymore put our work on the shoulders of our children anymore. Not because our children cannot do it but because what children learn, they learn from their parents and we have broken this link. We did not learn from their struggle and our children would not be able to learn from us too. Little by little we have broken this link. I am not blaming things on my generation neither the youth or the old I take the blame on myself. I who at many instances was unable to do little things for my country that I should have had. From little things like throwing garbage on streets or wasting water or petrol, to bigger things like being unable to react when my known ones ridiculed somebody based on caste or creed. I am hurt and I am sorry I feel sorry for all the disrespects I have shown to any of my fellow Indians , I am sorry for the pledge I took in my school felt insulted everytime I ignored it for sake of practicality. I have broken the link. The link of maintaining INDIA's freedom ideals. So unfortunate is every incident that today I feel I should have been beaten with sticks for not being able to keep up to the expectations of my Freedom Parents (freedom fathers and mothers ). I wish there had been some wand of God that could have hit me at every mistake I made against my nation. Unfortunately there is no wand. For freedom the cane of God is our own conciousness, that which we have shunned (not sold unlike what is said). We have rebuked our good will so many times that the voice within has stopped responding. I now realise how important is punishments, a timely punishment irrespective of wether you are old or young punishments for every wrong is necessary. I wish there had been a few men amongst freedom fighters who would have never grown old and I wish they had every right to punish anybody they saw go against the ideals of Free India that they had so painfully achieved. Today on the eve on 14th august I see two news running simultaneously in front of me a young lady in delhi who dashes a car when drunk and shows of her power by threatening to pay crores and I see another news when young tribal/adivasi women hunt down a man for selling desi sharab so that they can now have some money for their family. Two sets of women two sets of power and one person in front of tv looking hopelessly is me. I do not know what I can do right now to change these equations in India and I am sure many of us who read this will experience the same helplessness. I watch pieces of painfull news I see on one hand scenes from leh where my fellow men, women and children are struggling to get back their lives on roads. On another hand I see my fellow men from kashmir on roads, they say they hate India. On one hand I see my brave army men loosing their lives to save us on border on another hand I see my fellow men who help infiltraters to kill our brave men on borders. On one hand I see pangs of hunger one another hand I see government official whose IT raid sprung 2crore gold from his drawer. I feel pained I cry and I feel helpless. One important traitor who has a hand in everything of these pains is money corruption competition. Yes not just corruption but Money Corruption and Competition. The idea or notion of getting and keep getting more is injurious to you me our kids and our country. Corruption has not dropped from sky in our hearts of hearts many of us know who are corrupt , many of them are within us , it may be you yourself, your father, your relative, your friend,your friends father or may be our children etc who takes the bribe. Can we stop them ?? have we tried stopping them? Have we told them ever “papa I donot need a bike anymore please donot take bribes” ?? have we? ?.........have we stopped demanding ?? have the so called MNC’s stopped preaching lesser money and more satisfaction?? Have the wives told their husbands “I donot need another gold set? ?” …. Have we stopped demanding? ?Have we ever put a stop at our needs?? Most importantly have we ever made our known corrupt family members that we are ashamed that they take bribes??. a) Identify corrupt people within us , like I said they are within us and we know them. Talk to them tell them lovingly to stop taking bribe(you would atleast know who takes a bribe within your family ? wont you?? Your very closed ones??). Make them feel ashamed of their bribes, make them feel bad. They would hit you scold you or ridicule you, stop talking to you but they would feel definitely feel bad atleast 1 in 10 times they would refuse a bribe and whoa that would be for your words. If each of us can do this think how much difference we can make to India with our constant effort within a decade. b) We have tackled the existing generation now time to buck up the generation after us our children. This shouldnot be taught they would do as they see their parents if you and I can pledge to teach our kids that they should live with the essentials and be satisfied with what we have. Then neither will their wishes be the reason for us to take bribe nor in their own lives they will ever get corrupted. Think of it here is a man who takes bribe you know him and he is the one responsible for you not getting your desired country (directly or indirectly). They are a part of corrupt mindset that is hurting me today shall hurt many more in the future. We have to KILL THIS MINDSET. His bribe might not effect you today but somebody’s bribe will……..and then we wil blame others again. Stop it now. Pledge just the two above points and practise them constantly. Things will change for sure. Hopefully we will then never have to blame anybody nor will we have to ever feel burdened with dreams of independence. We will then celebrate freedom in real sense…. I am adding a comment from my comment box because i think i could not explain my mind properly in my article. For a better and shorter picture i add my this comment from my comment box. for the simple reason that we are a heard of people who like following people around us.. So the best place to hit hard corruption is at Heart NOT at Head..
People will stop taking bribes ONLY and ONLY when they feel ashamed of taking bribe.. Imagine a child walking up to his father and saying "Dad I hate it when you justify taking bribe for me,I do not want a new bike I can live without it but please dont take bribe next time." This is something that will have a moral implication on the father. Every time we give away to a temptation and push our parents for giving it to us, we push them to get corrupted. Imagine if this becomes a craze in India that every child, every wife keeps reminding this to his father or husband. Would a man not feel ashamed the next time he takes money??? So my point is simple,we give way to corruption everytime we like something temptational like gr8 clothes gr8 gadgets gr8 food... If our youth begins a craze to live life in a Simpler mode. WE TOO CAN ELIMINATE corruption without waiting for a BRILLIANT PLAN. i hope i could still explain a part of what was in my mind.. "
An awesome post for this occasion. If u think this about country, I think so about country, everybody thinks this for country. This problem is now a web which has to be either cut down fully at once, or it will be as it is. It just traps people who violate this and strengthen itself. We need a brilliant plan to cut it. i hope i could still explain a part of what was in my mind..
That’s a whole lot of sentiment for something that youngsters usually don;t think about...we have so many matters of the heart n body to look at after all! If more Indians thought like u...there’d be hope! Independence Day has become just a holiday! It is great to see this introspection n I agree with you all the way! Here’s three cheers for the ‘smarter’ Indian who would think n not accept blindly...act n just not rant! wow thank you for liking the post..
you know what i guess the Real Indian Youth are really smart and its not just about me who believes in this idea but rather many many more who would agree to this thought. One of my teachers said "It is faith that works.. we should trust our young generation and they would do anything to win and keep our faith strong." Similarly i believe there may be many Indians who would have a pessimistic view towards 15th aug which would just mean a holiday to them but like men on the eve of 1947 there would be MANY MANY more who would be slowly and steadily working to keep the faith intact. In fact its the missing communication.. news always focuses on lapses, we should keep seeing more of +ve examples to retain our faith on OURSELVES.